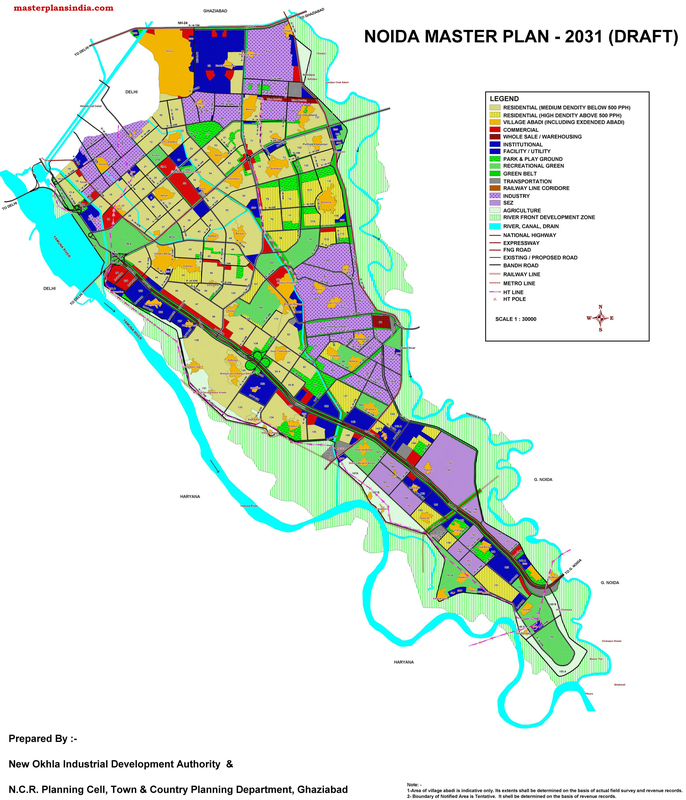 Noida Master Plan 2031 Map Draft contains the land use of different areas in the city. The master plan 2031 draft map is prepared by New Okhla Industrial Development Authority & and N.C.R. Planning Cell, Town & Country Planning Department, Ghaziabad.